Once I have been able to upload to ROS2. Trying another upload fails, because the device is offline. What is the easiest way to set the device online, sothat I can upload another program. Hi Fred, what can you see on connection status LEDs https://husarion.com/core2/manuals/core2/#hardware-status-leds ? Cloud works fine, so you shouldn’t have any problems. Maybe try to connect your CORE2 once more to the cloud using hConfig app? With SSH I am able to connect to the RPI3. Device becomes online, but I am stuck when trying to upload. The invalid bin file problem disappears after I have updated the RPI3 (apt-get update and apt-get upgrade). Now every program is uploaded without problem: success at the end. 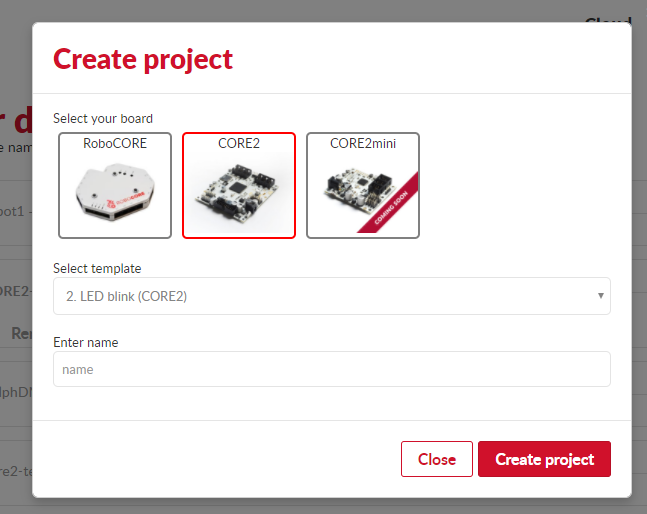 I have compiled and uploaded the Led-template, but nothing happens on the CORE2. The LED1…LED3 are off and unchanged. I just tested “2. LED blink (CORE2)” template, and everything works fine (we UI too). My configuration is CORE2-ROS with RaspberryPi3 . Could you check once more? However the CORE2 status has not been changed at all. The Blue Led is steady on. Fred, you gave me access only to the web UI of your robot (sharing through link). Please share me this robot through e-mail (contact@husarion.com), and I will be able to check more. 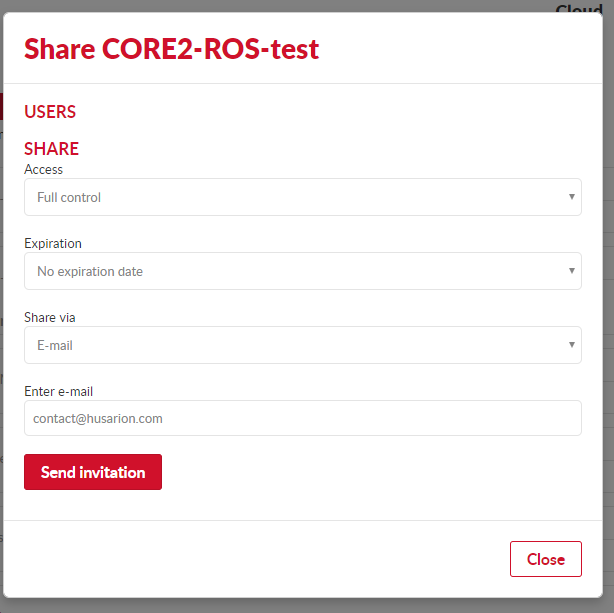 We just updated your system on CORE2-ROS. Please reboot your board, and try once more. Are you still busy with my device looking into the problem? Please inform me if you have the solution. The problem that I have right was preceeded by "invalid bin file"
Cloud displays: connecting to server ok, there after connecting to device stucks. On the offline side I also fail with the latest version of Visual Studio Code + Husarion extension. I did follow the tube tutorial but I got errors. Hi Fred, please share us a robot once more (conctact@husarion.com) and make it online. We need to have access to this to find out what is going on. Thanks! I have flashed another micro SD and started from scratch. I have lost assigned device "Tank3Core2Ros"
Do i have to reboot my device and to make a new assignment(adding device)? Are you still busy with my device? We have access to the device. We are still debugging the problem - it turned out be more challenging than expected. If possible, please don’t disconnect it yet. It appears we have lost access now. Could you reboot the device (unplug and plug) without re-registering it?